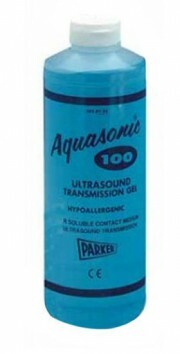 Aquasonic 100 1 Liter bottle. Recommended for all procedures where a viscous gel is required. Acoustically correct for the broad range of frequencies used. Aqueous formula will not stain clothing or damage transducers. Hypoallergenic, bacteriostatic, non-sensitizing, non-irritating. 6 units per box.